The Adam Equipment CPWplus W are multi-purpose industrial scales created for easy use. 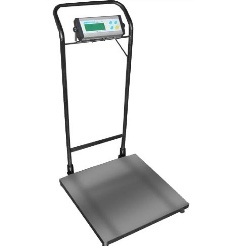 Featuring options for units of measurement, portability, and an easy to read backlit indicator, the CPWplus scales are durable and dependable for your every weighing need. Handlebar frame and wheeled base for mobility.